A few days ago, GoPro presented a spherical camera rig for VR along with another spherical multi-camera holster for their GoPro cameras. Well, today GoPro announced a new GoPro Hero camera that features a LCD screen. The new camera is mostly the same as the GoPro Hero model that was released last fall with the main addition to it being the new LCD screen. However, it is good to know that the camera comes with a few improvements that the previous model didn’t have, which raised its price a little bit. The primary selling point of this new device is the new built-in LCD touch screen. As we all know, GoPro has decided to add a viewfinder screen on their cameras, it seems that they finally realized that there are more and more users who want to see what they record or what images they capture. 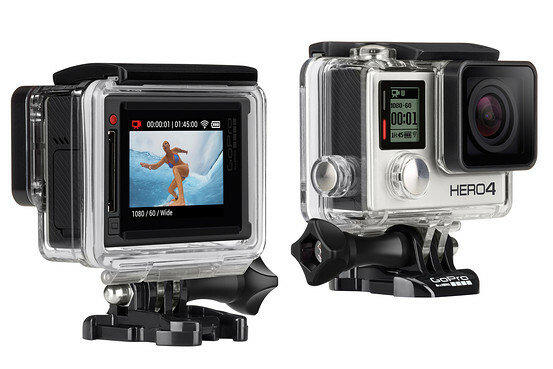 Now, a new GoPro Hero 4 Silver with LCD has been released. In addition, the company will also release a cheaper GoPro Hero+ LCD version that will be sold for 300 dollars and it will be available in the US and Canada, starting from June 7, 2015. It seems that adding a LCD screen to the GoPro Hero 4 Silver camera was a good idea as feedback suggests that user may have not been entirely happy having to use their smartphones as the devices screen. 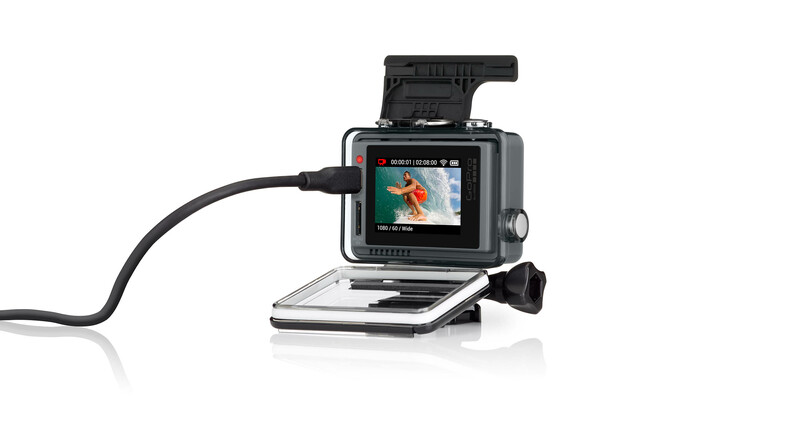 Now, with the new LCD, you will be able to see LIVE what you’re going to shoot with your new GoPro Hero 4 Silver. In addition, you will be able to see the pictures and the videos you’ve made, but keep in mind that this is going to burn the battery pretty fast. It is good to know that only the GoPro Hero 4 Silver can be removed from the waterproof casing. The new Hero+ LCD will always stay in the waterproof case, which means that if you want to have access to the touch screen, you will need to open the rear door. It’s still not known if GoPro is planning to “cut” the rear door in order to let you use the touch screen without having to open it. In addition, with the new LCD that GoPro Hero 4 Silver has received, the camera has been improved also. Before, we were able to record at 1080p@30FPS and at 720p@60FPS, but the new model allows you to record at 1080p@60FPS and you can even take photos at 8MP, which is a good improvement, as the older version allowed you to shoot pictures at only 5MP. The Hero+ LCD comes with Wi-Fi and Bluetooth connectivity options and it also features the new HiLight tagging function that’s found on the new GoPro Hero 4 Silver camera. As we told you above, the Hero+ LCD camera will cost 300 dollars and will be available from June 7, 2015 while the Hero 4 Silver with LCD is already available and it costs 400 dollars. Next articleiPhone 6S or iPhone 7? Which One Will Be Released?